Brown Sugar Pecan Pie – this easy and fast pecan pie recipe has no corn syrup and is FULL of brown sugar. It’s our family favorite and disappears in minutes every time I make it! I need to start off this post by saying sorry to my mom. I feel like I’m cheating on her today because I’m sharing this pie. You see, my Easy Classic Pecan Pie recipe that I shared a few years ago is actually my MOM’S Pecan Pie Recipe. I’ve been eating that one my entire life and always have declared it the best one ever. There really was never any competition; I only ever wanted my mom’s version. Until now. I’m really, really sorry mom. Don’t hate me, promise? You see, I have this friend. His name is Elmer and his wife is one of my very best friends. Elmer needs to have his own food blog because his cooking is amazing. Every time there is a party we wait with growling stomachs to see what Elmer makes. His specialties are his jalapeño poppers, which got me on the jalapeño popper train a few months back. He also makes pot stickers and bacon shrimp and so many more delicious things. At Thanksgiving, Elmer makes pies. Last year, they delivered a full pecan pie to my doorstep. It was my first ever Elmer Pie Delivery Day because they’d always been afraid to give me baked goods. I assured them, baked goods I don’t bake taste better than my stuff. I figured a pecan pie is a pecan pie is a pecan pie, right? WRONG. Jordan and I decided that slices were overrated and took a few bites with forks straight from the pie plate. Then we paused, glanced at each other with incredulous faces, and ate a few more bites. And more and more until the entire pie was gone in under 24 hours. Jordan would not shut up about how good that pie was. In fact, shortly after our pie eating extravaganza, she told Elmer that she wanted one of his pies for her birthday cake. She then told any member of their family she saw that same thing for three months until her birthday actually came the following February. Elmer delivered; we sang to Jordan over pecan pie instead of mint cake for the first time in years. I managed to finagle Elmer’s recipe out of him and now I’m sharing it with all of you. What makes it special? Elmer’s Pecan Pie is FULL of brown sugar and has zero corn syrup. THAT’S what makes it so good. 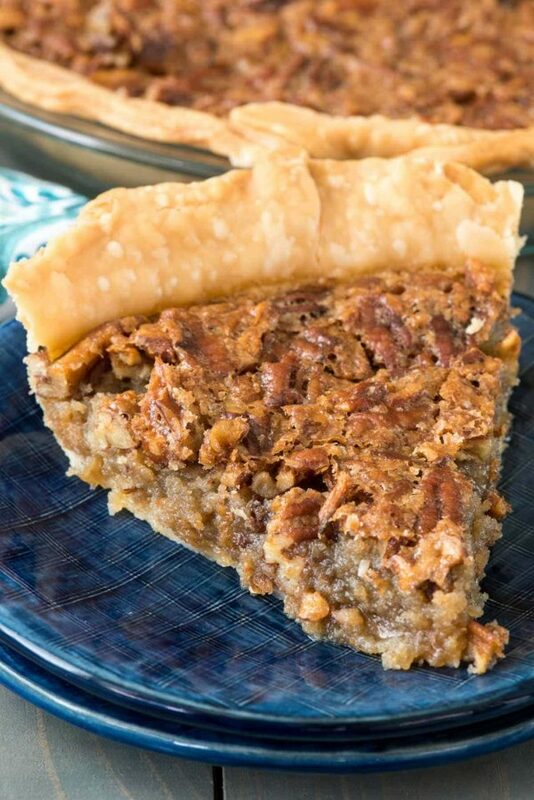 Brown Sugar Pecan Pie is a heavenly sweet pie recipe that is perfect for your holiday table! Now, like all good pecan pie recipes, this one starts with melted butter. Since butter is one of the key ingredients in a pecan pie, you want to be sure to use the best kind of butter you can, so I use Challenge Butter. It’s the butter I grew up on and the one I still use today. And, it recently became available nationally! You can find a store near you here. Look for the package with the elk on it! Pecan Pie is one of the easiest pie recipes to make. It’s one bowl, one spoon, and you just pour it into a crust and bake. Really, there’s nothing hard about this pie. If you can stir and mix and pour, you can make this pie. Brown Sugar Pecan Pie is pure heaven. The difference between this one and my classic recipe is almost night and day. 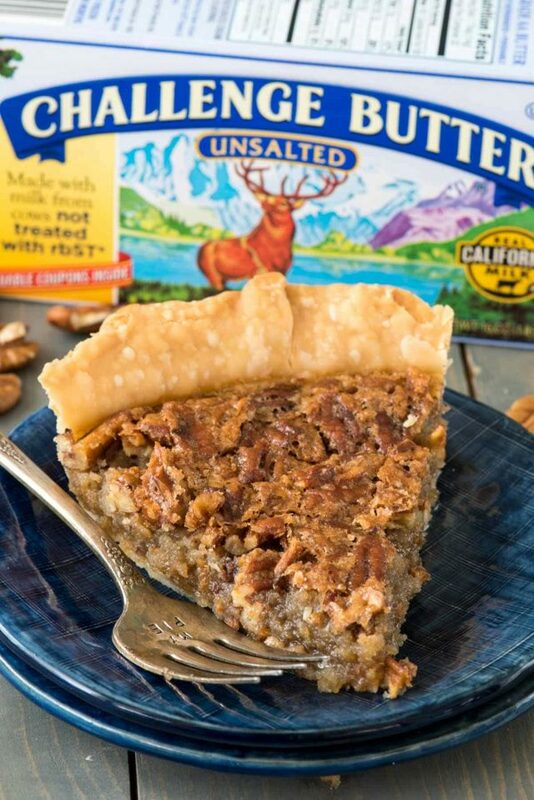 Sure, it’s still pecan pie but there’s such a fresher and more delicious flavor to the one that has a majority of the sweetness coming from brown sugar. In the traditional recipe, there is only 1/3 cup granulated sugar and the rest of the sweetness does from dark corn syrup. Now, I have nothing against using dark corn syrup but I never imagined what a flavor difference the syrup gives vs. all sugar. I mean, sugar is sugar, so why does it make a difference? I don’t know the answer to that but I have read studies and done the coke challenge, and I DO taste a difference between the two, and the same goes for this pie. 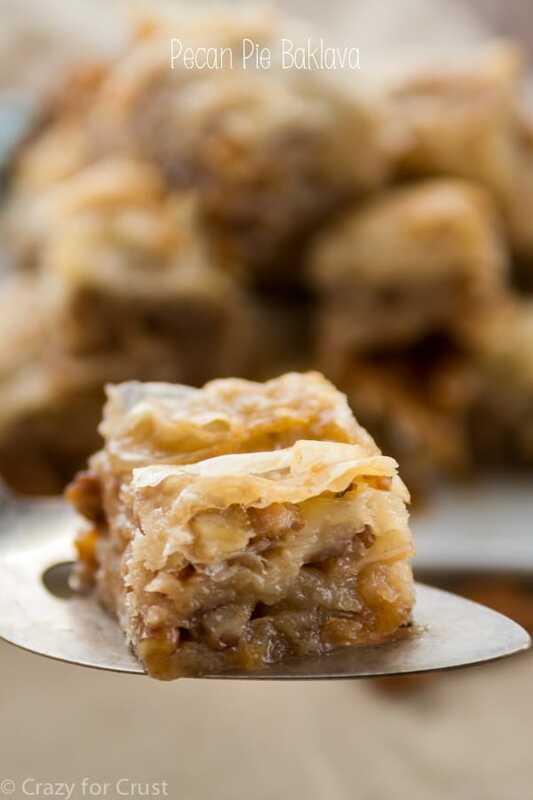 If you’re looking for the perfect Thanksgiving dessert that’s a classic recipe, THIS is it. Give it a go, try something new. I promise you’ll love it! I swear, it’s one of the best pecan pies in the whole world. If you haven’t done it, I urge you try try a pecan pie recipe without corn syrup. Use this one, you won’t be sorry. Don’t forget to pack your brown sugar! I use unsalted butter. If you don’t have that you can use salted Challenge Butter, but omit the salt. I like chopping my pecans into coarse pieces. It makes more of a seal over the top and is easier to eat. Cover the pie crust edges with foil or use a pie crust shield to prevent over browning. I always use premade crusts because I’m lazy, but my all butter pie crust works too! Brown Sugar Pecan Pie - this easy and fast pecan pie recipe has no corn syrup and is FULL of brown sugar. It's our family favorite and disappears in minutes every time I make it! Place pie crust in pie pan and crimp edges as desired. Chill until ready to fill. Whisk together both sugars, melted butter, salt, eggs, flour, milk, and vanilla until smooth. 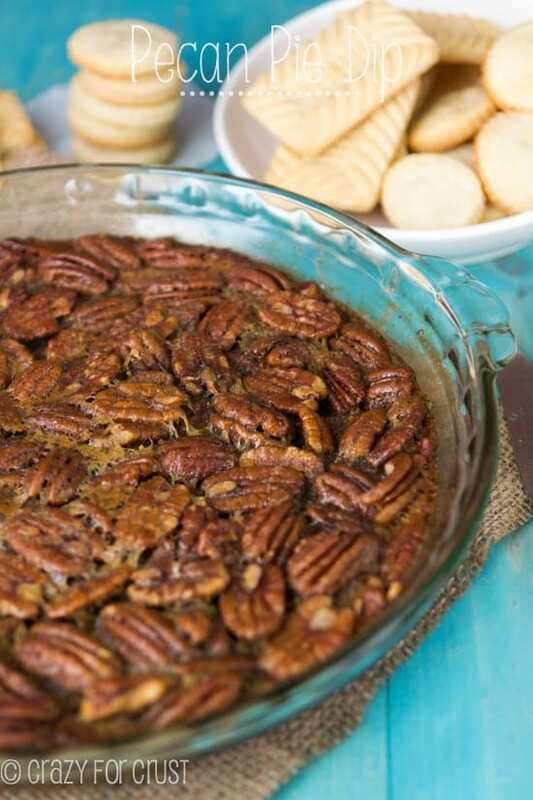 Stir in pecans and pour in prepared crust. Cover edges of pie crust with foil or a pie crust shield. Bake for 10 minutes, then reduce the heat on the oven to 350°F and bake an additional 30-40 minutes, or until the middle is only slightly jiggly and the edges are set. Cool completely before slicing. This recipe is sponsored by Challenge Dairy. All opinions are 100% my own. I always use premade crusts because I’m lazy. Every time there is a party we wait with growling stomachs to see what Elmer makes. 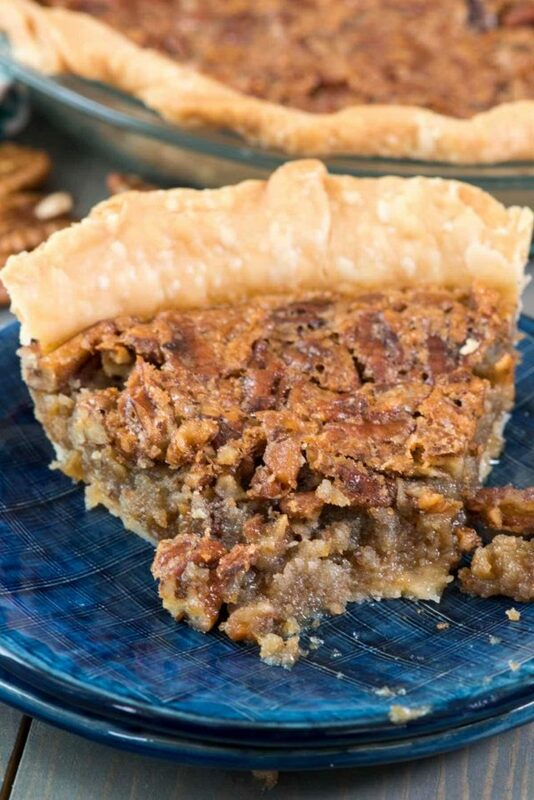 By far the BEST PECAN PIE recipe, I love to bake and I came across this recipe and made the brown sugar pecan pie, using my own pie crust I made and the pie is out of this world…pecan pie has always been a favorite of mine….will never use another pecan pie recipe. Thanks so much. Hi! Just a question.. am I stirring/combining all the ingredients over a stove? Or just in a mixing bowl? Oh Susan from the November post……. 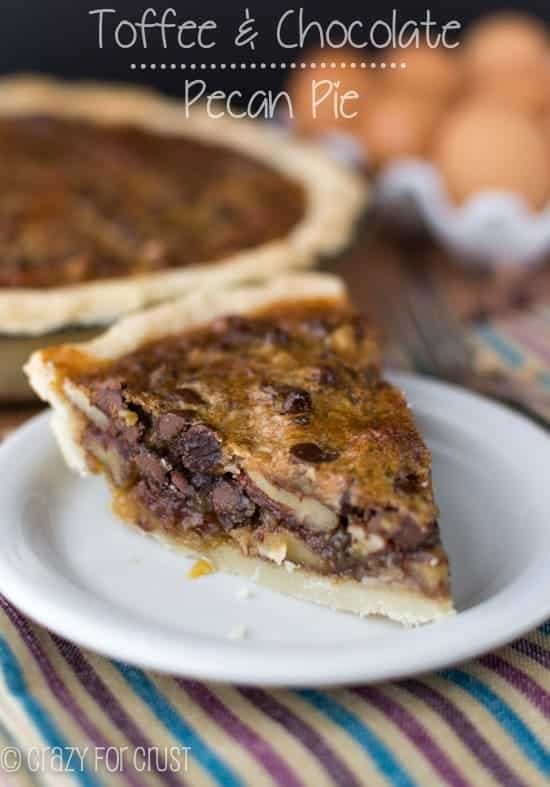 I also make that WS Chocolate Pecan Pie and when I saw this recipe I was thinking along the same lines as you as substituting the corn syrup out for brown sugar. Did you try it? I will use more nuts bc I like less filling. This comes out perfectly! It’s my second Thanksgiving in a row making this pie. I made two this year because it disappeared so quickly last year! I will never go back to corn syrup!! minutes, or until the middle is only slightly jiggly and the edges are set. Cool completely before slicing.